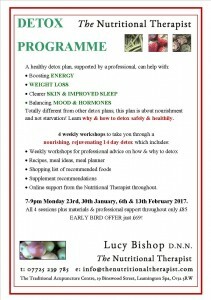 Lucy Bishop, Nutritional Therapist, will be running a healthy detox programme over 4 weekly evening workshops (7-9pm Monday 23rd & 30th January, 6th & 13th February 2017) here at the Traditional Acupuncture Centre in Leamington Spa. mproved sleep; balancing mood and hormones. This plan is about nourishment and not starvation and includes many helpful recommendations and materials. 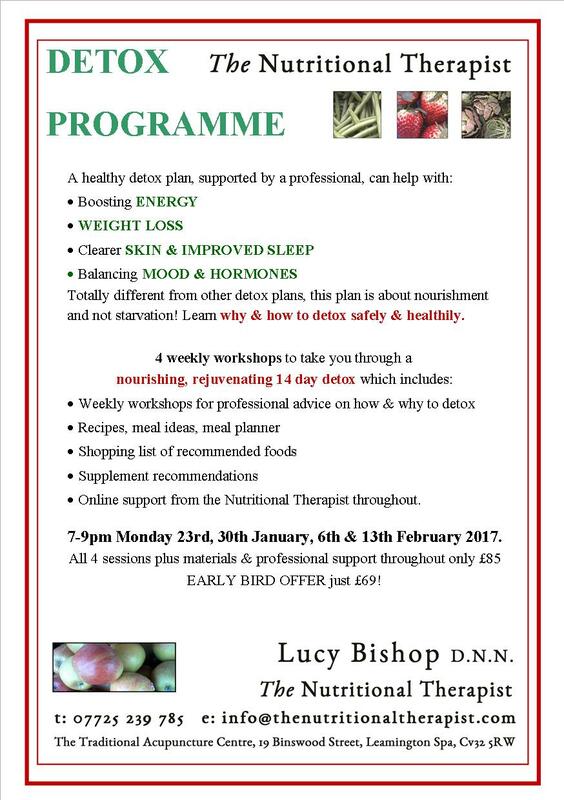 In order to find out more/book onto the four session programme, simply call Lucy Bishop direct on 07725 239 785 or call the clinic on 01926 450990.